Many people have reservations about shopping for a used car. How do you know you’re getting a good deal? That the vehicle itself is in good condition? That the seller is being upfront and honest about the car’s history? You can set those fears aside for good when you shop the pre-owned inventory at Mercedes-Benz of Lynchburg in Lynchburg, Virginia. At our dealership, we strive to provide superior customer service from the moment you walk through our doors. From the financing process to handing over the keys to your new vehicle – and even long afterward, you’ll be pleased with our top-quality service. Part of providing this excellent car buying experience is offering a high-quality selection of pre-owned cars, trucks, vans, and SUVs from a variety of automakers. 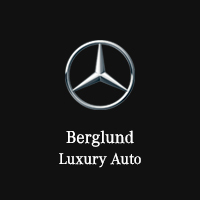 Among our inventory, you’ll find brands like BMW, INFINITI, Jeep, Land Rover, Lexus, Volvo, Toyota, and Honda, and more – as well as many Mercedes-Benz models. We make it easy for you to browse our used car inventory online. Simply select the make and model, year, mileage, price range, and other specs that you’re looking for in your vehicle and get instant results. Bring that list with you when you visit our Lynchburg dealership and speak with one of our sales representatives to get right down to the business of viewing your top picks in person. Our website also offers a credit application you can fill out in order to get a jumpstart on the financing process and save time once you get here and choose the vehicle you want to buy. Additionally, if you want to see how much your trade-in can help toward the cost of your new car, use the Edmunds MyAppraise Trade-In tool to get a quick estimate of what your current vehicle is worth. Why Buy Your Used Vehicle from Mercedes-Benz of Lynchburg? Drivers in the Roanoke, Blacksburg, and Christiansburg, Virginia, areas know that Mercedes-Benz of Lynchburg is the place to turn when you want an extensive selection of high-quality vehicles and superior customer service. Our financing experts are on hand to help you secure the best possible automotive loan and work within your budget to make sure you’re happy with your terms and monthly payments. Visit us today and explore our inventory of new Mercedes-Benz models, Certified Pre-Owned vehicles, and used cars, trucks, and SUVs to suit just about any taste. We look forward to helping you find your perfect vehicle.